Today, we present you ACAD, our new partner in Palestine. Faces geopolitical instability for decades, Palestine is today one of the poorest regions of the Middle East with a high rate of unemployment. Palestinians are then turning increasingly to microfinance and microcredit to develop local income generating activities around the local shops, the agriculture, livestock or other. What are the features of ACAD ? First feature: ACAD, in addition to microcredit, is a technical expert in agriculture and finance numerous projects of micro-entrepreneurs in this sector. Second feature: Since its inception, ACAD lent 11 483 micro-entrepreneurs and supported both through loans and training to more than 66 cooperatives: this is the only MFI in Palestine to support cooperatives. What kind of projects are financed by ACAD ? At the end of 2012, ACAD has 3282 customers and a outstanding loan portfolio of 4 894 422 USD. In 2012, 43% of the loan portfolio was for micro-entrepreneurs in agricultural sector and 45% for trade sector: these are the two major categories of lenders. On the entire loan portfolio of ACAD, 70% of micro-entrepreneurs are women, strongly affected by poverty and excluded from the traditional banking system. For the MFI, economic independence and food security for the poorest is an effective tool for economic, social and political development in Palestine. ACAD was launched in 1988 as a for-profit company under the name of UAC (United Agricultural Company). The UAC brought loans to farming communities. From 1993 to 1995, the funds were transferred to the UAC ACAD NGO, registered in Jerusalem in 1993 under the Palestine National Authority in 2001 as a specialized institution in agricultural development. 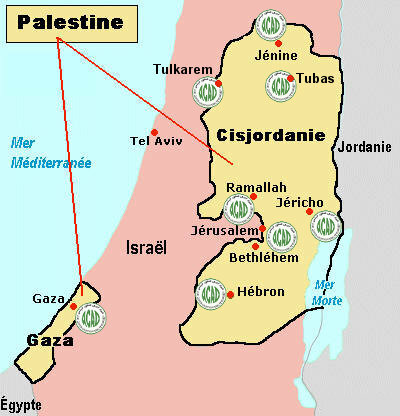 Since this time, ACAD is highly developed and covers the whole Palestine. It has now the status of Microfinance Institution. By 2015, ACAD plans to expand its portfolio to reach more than 8,000 active clients with a outstanding loan portfolio of approximately 8 million us dollars. In March, Thomas and Elsa from the Operations Team in MicroWorld went on at ACAD headquarters in Ramallah to do an internal audit, train our local correspondent Sameer Khraishi and finalize this collaboration. Very soon we will present you in more detail Sameer and its function within the MFI ACAD. 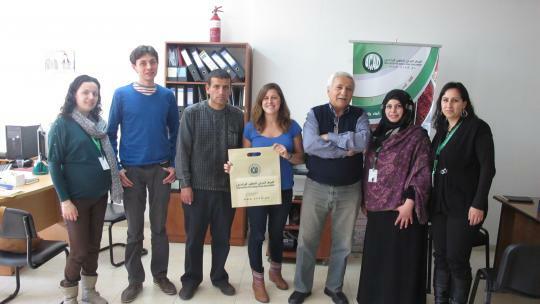 Now you can support projets of microentrepreneurs in Palestine ! To see all the photos of the integration of the MFIs in Palestine: click here !